This collection has a modern feel and look. The finish is a high gloss lacquered cognac birch finish. The Collection brings the modern crisp look and feel with simple satin metal brushed pulls and legs. The collection gives the room a rich, clean look and an open airy feel. 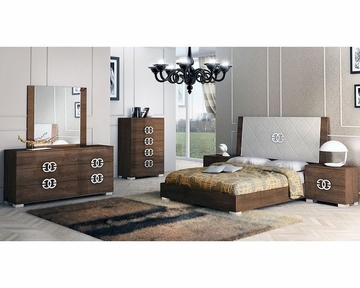 The Bedroom Set with Sleigh Bed consists of Queen Size Bed, Nightstand, Dresser and Mirror. The Bed is available in Queen and King Sizes. 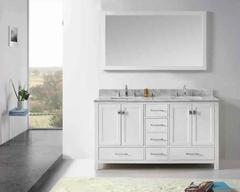 The 5-Drawer Chest is an optional items.Straight panels are in chipboard, then veneered (veneer being a thin layer of solid wood); then the veneers are lacquered using a 6 steps/layers of UV high gloss polyester lacquer. Manufactured according to European and international standards.Status Italy.